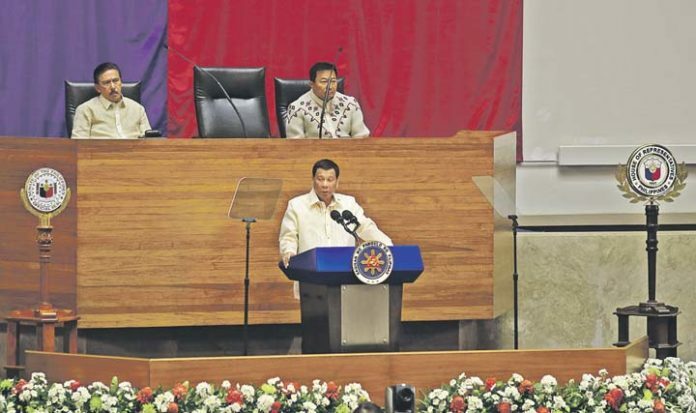 MANILA -- Malacañang on Friday expressed optimism that the senators would eventually find the merits to support the amendments to the 1987 Constitution towards a federal form of government. “We are confident that after giving them (a) thorough picture of why we think the Charter change is meritorious that many of the senators will agree with the President on this matter,” Roque said in a press briefing in Malaybalay, Bukidnon. Senator Panfilo Lacson reportedly said the Charter change is just waiting to be cremated in the Senate due to lack of support. Roque said there are ways and means to convince the senators to change their minds on the Malacañang-backed Charter change. “I think there is no alternative to convincing them by showing them the merits of the proposed amendments,” Roque said. “We prefer to deal with the merits of the proposal to amend the Constitution towards a federal form of government and we will pursue that course of action,” he added. Roque said the senators initially refused to support the second package of the Comprehensive Tax Reform Program or the Tax Reform for Acceleration and Inclusion (TRAIN). After a thorough explanation, Roque said no less than Senate President Vicente Sotto III had agreed to sponsor TRAIN 2. “We expect a similar development as far as Charter change is concerned,” he said. Aside from explaining the merits of federalism to the senators, the Consultative Committee (ConCom) that drafted the proposed federal Constitution will start the information campaign next week.